Ed. Note: The column Learning From Mistakes will take a popular recent film — which, by all accounts, could have been better than it was — and detail what went wrong. It is in no way intended as a review, just a teaching tool. Hope you’re listening, Hollywood. 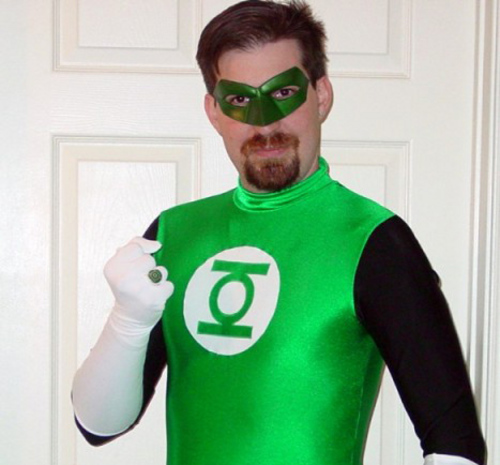 There really shouldn’t have been a way to screw up Green Lantern. I’m no comics purist, but I’m somewhat familiar with the story: human receives magical ring which turns him into a super-soldier in a core of universal heroes. Much of the content is ripe and ready to pick for a summer blockbuster. But somewhere along the way, whether in development hell or a self-important need to “Nolanize” the content of Green Lantern, the film became a jumbled mess with a lot of glaring mistakes. So what happened that made Green Lantern miss the boat? Let’s examine. Ryan Reynolds is way underutilized. Sure, he’s the “hunkiest” guy out there and probably eager to shed his Van Wilder days, but Ryan Reynolds has a real knack for bringing personality to a character. Even in serious action films. Just look at what he did with Hannibal King in Blade: Trinity, or his turn as the mouthy Wade Wilson (pre-Deadpool) in the otherwise-snoozer X-Men Origins: Wolverine. Dude has him some charisma. He’s likeable. He’s often very funny, and great at bringing a sense of levity to a moment. Casting him as Lantern-to-be Hal Jordan should have been a stroke of genius — provided the filmmakers cared about granting Jordan with any sort of discernible personality at all, which they clearly didn’t. Instead, Reynolds plays Jordan as a derivative of Top Gun’s Maverick; wearing tight t-shirts, furrowing his brow, slightly brooding at times. There are attempts to bring him some lighter moments, but they get lost in the shuffle. Reynolds’ Jordan is a cardboard cutout of an alter ego, and it shouldn’t have been. After all, here’s a cocksure fighter pilot suddenly transported to an alien planet where an alien with a birds’ beak watches as an ogre-like colleague pounds him into the ground for training. What, a brother can’t get a pithy line there? That’s not the Ryan Reynolds we know. That’s straight Christian Bale stuff. We like Reynolds’ characters because we like him. Unfortunately, there’s not a lot about Hal Jordan to really care that much about. Seriously, please don’t treat us like we should care. The Lanterns’ homeworld of the planet Oa is portrayed as the singular most important thing in the world, but it looks like a cartoon, and not one single person there seems like they’d be someone any of us would meet at a party and not wish would shut the hell up. A decision to basically make the entire planet a CGI creation takes fully away from any sense of tactile resonance and remains wholly uninteresting. First thing these Green Lanterns need to do is lighten up, am I right? Bunch of frownies, those guys. Just make it interesting. With all these quibbles with Green Lantern, it would seem that the one thing forgotten during the making of the film was to keep it entertaining. If the aim was to create a dark superhero drama, you a.) probably didn’t understand the assignment, and b.) didn’t realize this was coming out in the middle of summer. It’s hard not to think of the difference a director like Jon Favreau, who went to town in such a great way with the Iron Man franchise, could have done with one of the most popular DC comics out there. Instead, this Green Lantern just sits there like a painted, lifeless dud that not even the Lantern core can rescue. Psst. It’s a g*ddamned superhero movie, guys. We’re already suspending disbelief the second we buy a ticket. Just give us something to watch.